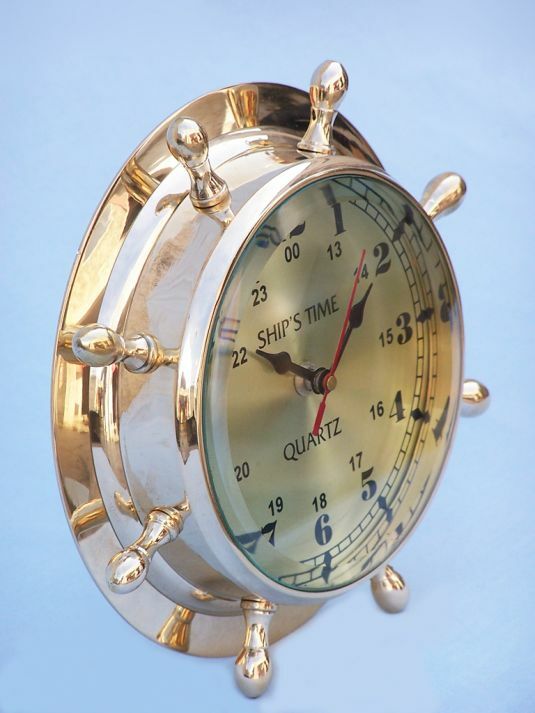 The Hampton Nautical Double Dial Wheel Clock is a solid brass desk clock. 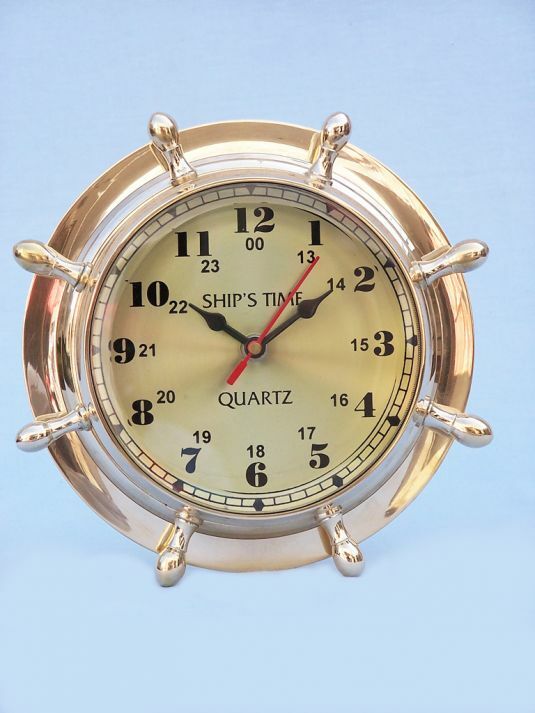 This brand new ship wheel clock is a perfect accent to any home, office or study. This clock features both the 12-hour and 24-hour marks and has 1 minute interval marks. Inside the clock the words “Ship’s Time” in an elegant font is displayed. The back features a groove to hang this clock on a wall. 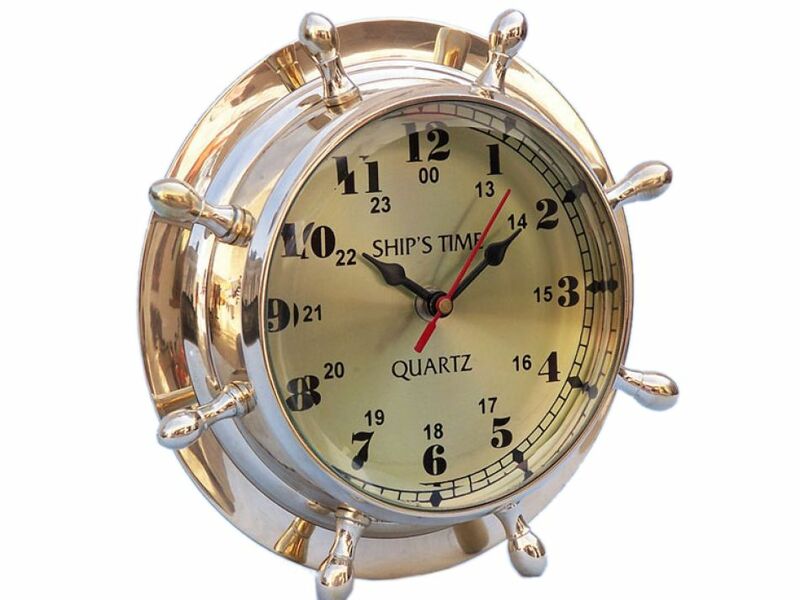 This solid brass nautical clock, for desk or wall, can be engraved in the back or in the thin 2-inch outer layer. 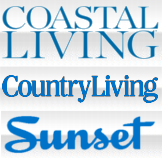 An engraved nameplate can also be placed on the back of the clock. This gorgeous naval clock embraces one of the most important developments in sailing, a symbol of hope and safe passage dear to sailors: the ship wheel. 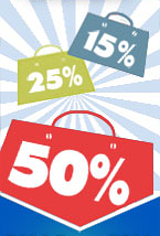 Throughout the 16th and 17th centuries, as sailing vessels grew ever larger during the Age of Exploration, accurate steering became increasingly difficult. 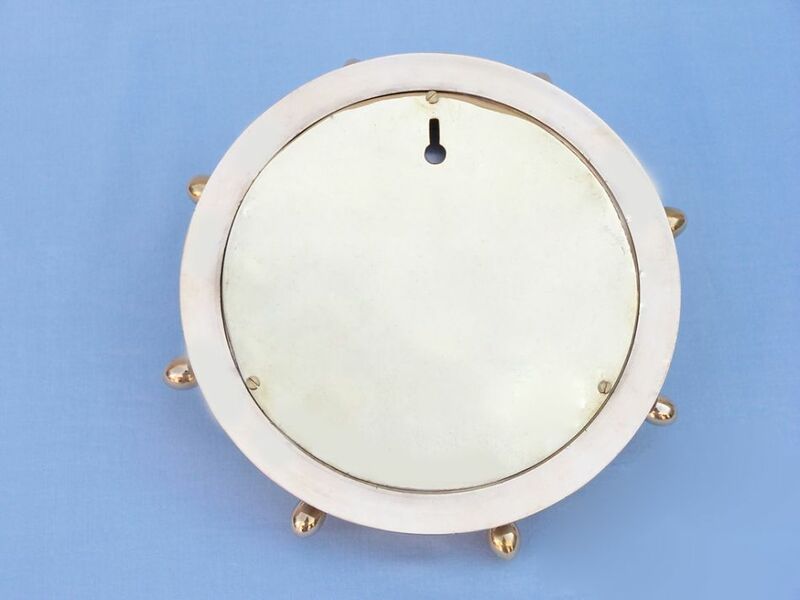 In the latter part of the 1600s the basic idea of the ship’s wheel was beginning to evolve into the iconic shape we recognize on these nautical wall clocks. The first stage of development was the implementation of the windlass; used aboard ships to hoist anchors and reign in sails, the windlass was a basic cylindrical hand crank. The windlass turned so that its rotational motion moved along the ship’s longitudinal axis, like the hands’ motion of a naval clock if you looked from aft to bow, with ropes from the tiller wrapped around it so that it could be used like a winch on the rudder. This basic idea of using rotational motion to turn the rudder eventually became the standard wheel to which this naval clock is affixed. 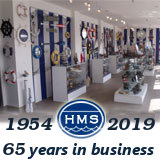 Though the British Royal Navy is credited with the invention of the ship’s wheel, it is more likely that the local nautical craftsmen and artisans were actually responsible. During the first decade of the 1700s it was common for ships to have both the wheel and the whipstaff/tiller, though by 1715 the ship’s wheel had become standard on deck. This ship’s wheel clock is a beautiful reminder of sailing history, crafted from rich wood and as handsome as a wheel you would see standing proudly on the deck of a historic tall ship.